Several years ago there was a short article eluding to the existence of Wankel Rotaries made by Lada published in Fast Fours and Rotaries magazine. Since reading this article I found additional information on the Internet and have sourced a few pictures and tables of various engines produced. See below. AutoVaz (or often reduced to just Vaz) is the parent company of Lada, kind of like GM with Chevrolet or Opel. The first rotary car was made in 1978 - a single rotor powered Lada sedan based on a licensed Fiat design. I understand that at least 8 different models of Lada sedan have been converted to rotary power and around 20 different variants of engine produced of 1, 2, 3 and reportedly 4 rotors. I speculate that some of the engines are surprisingly similar to the Mazda 13B family; with some of the 2 rotors engines being 1308cc and the same rotor housing width as the 13B. Perhaps AutoVaz used Mazda parts as a template for their own early experiments? (Note, this is only speculation. I have not seen nor heard anything that would confirm this). Note - This article appeared in Fast Fours and Rotaries magazine, sent to me by the author; see acknowledgements. I believe that it is based on a letter sent to the magazine from a reader in the USSR. Text is unedited by me (Unless noted). 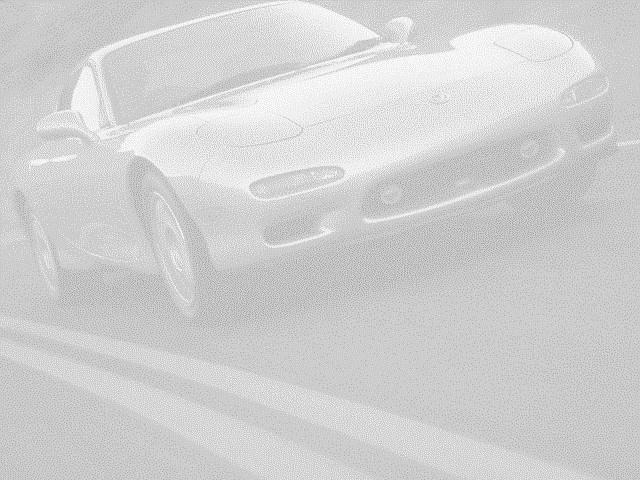 Quick, think of all the car manufacturers in the world that have produced rotary engined cars, bet most of you thought of Mazda. Many of you would have thought of NSU/Audi, and the odd really keen enthusiast may be aware of the Comotor/Citroen unit but almost no one would have thought of Lada. During the summer of 1980 the Volga auto works of Tagliatti (called Auto-Vaz) sold about 250 rotary equipped Lada cars to customers under the imaginative Vaz-21018 designation. In this case a single rotor Vaz 311 rotary engine was installed in a basic Vaz-21011 body. The compression is very high by Eastern bloc early 80s standards considering the 'high octane' Russian petrol was only rated for 93 RON. The vehicles electric�s were considered sensational for the time. A black box which analysed inputs from the load, speed & rotor position transducers triggers a thyristor (Craig comment - electronic ignition), which fired the ignition coils. The spark plug design featured twin side electrodes. A most unusual feature of this car was it�s cold starting device, an anti-freeze injection system. This part of the world can be very cold & when trying to start the thing at minus 25 Celsius some of the liquid anti-freeze needed to be squirted in, hoping to stop the plug electrodes from icing. A manual which came with the car suggested that this be tried only twice; three times and you flood the system with anti-freeze. A standard down draught carburettor was used but with altered jet sizes and a two stage air cleaner was employed as well. The apex seals got their share of oil through a lubricator, and the oil level in the sump was maintained automatically. A belt driven fan was upgraded to an electric type for latter versions. I personally had no experience in performing a 'low temperature start'. In warm weather the rotary fired instantly & after warming it a bit, settled to steady idle of about 950 rpm. This particular car was fitted with a tacho by the owner (a racing driver) as none of these 21018 model cars received one at the factory (big mistake) . Performance of the rotary seemed as good, or perhaps better than any 1.3 lt. Lada, but keeping the revs up was a must and a tacho becomes invaluable for better driving. What I instantly noticed, was the almost insignificant engine braking available from this tiny power plant, so the brake pedal got an extra work out as a result. The revs matched the accelerator pedal inherently. No where near the inertia of a piston engine, you lift the accelerator and the revs disappeared instantly. Required driving style changes apart, it was a pleasant experience, but according to the little statistics that became available, many rotaries didn�t last to the first 10000 km filter change. Maximum engine life up to 20000 km was seemingly as per normal. In many cases the rotary was thrown out and replaced with a conventional four cylinder 1.3 Lada/Fiat motor. End of and era, you suppose? With model 311, yes, but not with Autovaz�s aspiration within the Wankel league. Then came a long flirt with 2 rotor models. In 1982 some where seen installed in rally cars and those were as fast as 1.6 Ladas. Fed through 2 twin throat Webers DCOE�s meant at least 150 bhp was available from those developed for racing. A long silence followed, but suddenly in 1988, several engines were put on display at an exhibition in Moscow. A twin rotor Vaz 411-01 which had an equivalent capacity of 2300 cc & the same 120 bhp on tap. 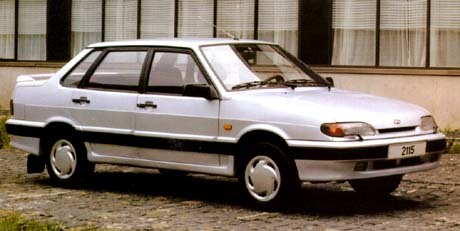 The model Vaz 413 with fractionally larger dimensions was rated 20 hp higher. No torque figures were given but both had 9.4:1 compression and weighed in at 130-140 kg per engine. Some 411 engines were seen in Ladas, indexed as Vaz 21019. The more powerful models became available for Latvian made RAF buses & Ambulances. 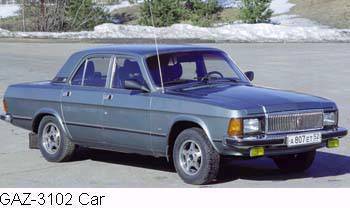 The KGB got some Volga sedans fitted with the larger rotary as power was about 1.5 times the standard 2.5 lt engine. 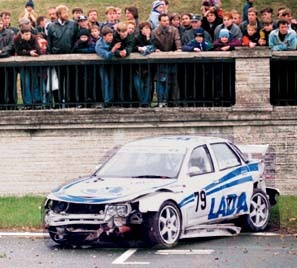 Also, a 3 rotor Vaz 513 was released (equivalent to 3900 cc) and rated at 280 hp for it�s 200 kg engine weight. Max power of all said engines was quoted between 5500-6000 rpm. So who in the USSR needed that sort of power? Good question. The answer is people in uniforms, 280 hp from a 3 rotor and at least 350 from a 4 rotor engine (which did exist as well) in a light weight package was a real day time dream for designers of lightly armoured fighting vehicles. We can say that perhaps Vaz 21018, 21019 were spin offs of some military program. There was never an intention to let Mr & Mrs average Russian behind the wheel of a rotary engined car. The few hundred produced were just a lucky break. The AutoVaz company is parent to many divisions, including Lada, UAZ, ZIL, GAZ, and Volga. There is a research centre called the GENDR (Short for the full Russian name). A subdivision of GENDR is the SKBRPD (Rotary Research Division) - This name comes from SKB = Special Design Agency, RPD = Rotary Piston Engine. The Russians usually refer to rotaries as "RPDs". They seem to make about 100 rotary engined cars per year. 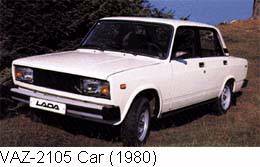 (300x185) The VAZ-21108 Car (first made in 1978) was powered by a single rotor VAZ-311 engine. The VAZ-21109 Car was a minor update to this body shape but powered by a two rotor VAZ-411 engine. Transmission was a 4 speed manual and the car had an optional extra fuel tank. Transmission was a 5 speed manual and the car had an optional extra fuel tank. I believe the 4 Cylinder version of this model was made by Lada as a cheap car until as late as 1997! 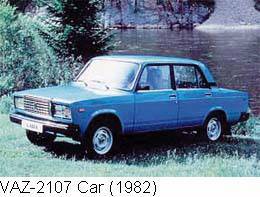 (300x225) The VAZ-2108-91 Car (first made in 1984) was powered by the two rotor VAZ-415 engine. Transmission was a 5 speed manual. 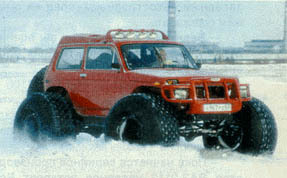 This was the first Russian designed model, and was sold in several western markets as the Lada Samara. The car in the photo seems to be some 1997 race champion. (460x231) The VAZ-2115-91 Car was an all new design and was powered by the two rotor VAZ-415 engine. (450x266) The VAZ-2110 Car was supposedly powered by the two rotor VAZ-415 engine. Unfortunately I can't find any more information on the rotary version. (350x208) The GAZ-3102 Car (First made in 1981) also known as the "Volga". Powered by the two rotor VAZ-411-01 engine (as used in the VAZ-21079 car above). This car was also available with the 210hp 3 rotor VAZ-431 engine, supposedly used by the KGB. Length 4960mm, Width 1800mm, Height 1422mm, Weight (4 Cyl version) 1850kg. There was a new car in 1994 called the GAZ-2410 which also used the rotary engine. This may have had variants GAZ-31029 , GAZ-31022 , GAZ-31023. All rotary engine cars in Russia for private (non government) use are sold through a company called "SPAR". I think they are in the same town as the AutoVaz headquarters. (Toliyatti). As of November 1998 there are apparently two 'Unofficial' - whatever that means - dealers in Moscow. I can't quite figure out what the story is with private citizens buying these cars. It seems that the normal man in the street can only get front wheel drive cars but there seems to be a loophole that you can buy a car but not register it with GAY, who I presume are some kind of police authority. The Lada/Vaz range of Engines & non-car applications. The VAZ-413 picture shows the engine on the right hand side. (I think the engine on the left is a Volga 2.5 litre 4 cylinder that made less power). The VAZ-415 two rotor engine, was a new design used from the mid 1980s. As of 1998 this engine is apparently still in production and used in the VAZ-2115-91 Car (see above). The VAZ-426 engine was approved for aero use on March 30, 1998. The cost is 120,000 Roubles - approx $US20,000 / $AUS 30,000. This boat - called Volga - was powered by a two rotor VAZ rotary, exact model unknown. Note that while the boat is 'flying', this effect is limited to just above the surface. This would have been an experiment in the 1970s for a high speed low cost alternative to an aeroplane. (The Russians had an enormous 6 jet engine transport craft built on the same principle. It could fly just a few feet above the surface at nearly 500 km/h). 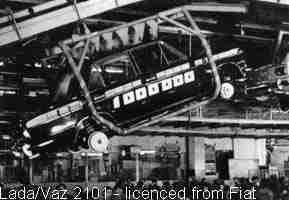 *Note1: VAZ-1181 / VAZ-1812 / VAZ-1184 / VAZ-1187 all same hp and VAZ-1187 definitely used in plane. *Note2: The VAZ-543 may be a 4 rotor engine as the power output is consistent with being double that of most of the 2 rotor engines and 4/3 that of the 3 rotor engines - however I have no hard data to confirm this. I've been dealing with the AutoVaz (Lada) rotary lab for the past 3 months, trying to import a rotary engine for my Niva. Here's some of the updated/corrected info for your section on the Lada rotaries. 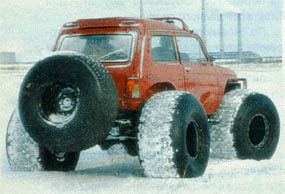 The UAZ model 415 is STILL in production, as of Oct.1998. It has been available, as a special cost option, in the European Samara front wheel drives, for the past 6 years. In standard trim, the current generation displaces the same 1308cc's as the Mazda 13B engine, and is rated at 180 HP, running on sequential port injection. A high performance model is also offered, that has the port timing redone, and is rated to 240 HP, using sequential port FI. Apparently they do not offer a turbo version for automotive use at this time. As I intend to prep my Niva for weekend Rallying, they also Hinted at a racing/aviation only motor that is (supposedly) capable of 300+ HP. From the way they phrased it, these engines are still experimental, and may use a peripheral port design: they specifically stated that they were 'unsuitable' for street use. My contact at the lab was Alex Shenayakin, but e-mail service to the lab has apparently been cut off, so I can't get you in touch with him. He did confirm the existence of both the three, and four rotor Russian engines, and described them as being designed for scout car/APC applications for the military. They have not been in production for at least the past 6 years, and were only ever available in carburetted, non-emissions forms. He additionally described a dual turbo, 4 rotor engine, rated to 680 HP for use in a 5 tonne amphibious APC, that never went into production. He didn't work on that project, but believed that it was set up using mechanical injection. (Maybe a knockoff of the Bosch CIS system?) That was circa 1984-85. 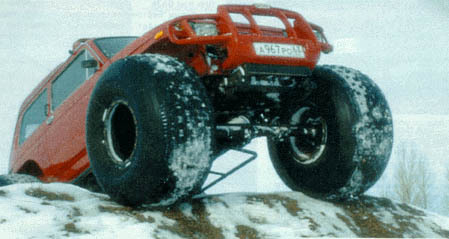 I haven't been able to find any shots of a rotary engine in a Niva, but here are the shots (see below) of the rotary engined Tundra buggy. They are manufactured by an aftermarket company, and use a completely swapped driveline from (I believe) a Soviet military UAZ. (The Russian military jeep). These things are designed for use in the Russian north, over Muskeg, and as surface vehicles for the Russian research stations in the Antarctic. Note the above pictures and info were emailled to me. I have since found they are called the Bronto 1922 Marsh Niva. There are a few Russian sites with information about these engines and cars. By far the most useful was the VAZ rotary history page which someone on the RX7 mailing list pointed me to. Based on the number of different models of cars and engine, it would seem that these cars would have been made in reasonable volumes, so may not be especially rare in their home country. Please note that most of this page was created by me matching data from multiple sources and should not be held as nessecarily correct. Where I have made a guess or estimate this is noted. * Special thanks to David Morris, a writer for Fast Fours and Rotaries for sending me the FF&R article. * The AutoVaz website for many of the photos and raw information about models and engines. * I have not seen any other information about these engines or cars in any books. 13/12/2001 - Minor tidy up, fixed a few broken pictures.